When evaluating a potential candidate, many recruiters look at quantifiable, hard skills above all else. While specific, technical skills are undoubtedly important, a candidate’s soft skills are also a piece of the puzzle that could help determine whether they will be a good fit for an open position. A positive attitude, the ability to work well under pressure, adaptability, and organizational skills are usually at the top of the list of attributes that employers seek. However, these are often quite difficult to measure by simply glancing at a resumé. Soft skills, like communication, critical thinking, and leadership, are highly sought after among employers. While technical skills can be taught on the job, something like creativity cannot. This is why employers place such value on finding a cultural fit within the workplace and use the recruitment process as a tool to find the most qualified candidates in terms of both hard and soft skills. It’s difficult to assess a candidate’s soft skills straight away, as a resumé and phone interview may not tell you how the candidate collaborates with other members of the team or takes constructive criticism. Asking the right questions during the interview process can help you learn more about how a candidate interacts with others or communicates. This can be a good indicator of how well they will perform on the job. There are several techniques that recruiters can use to evaluate a job seeker’s soft skills. For example, communication skills are important in a variety of industries and job settings. One of the first ways to evaluate a candidate’s communication skills is by looking closely at their cover letter. A well-written, error-free cover letter and resumé is a good tip-off that the candidate is articulate. Verbal skills can be evaluated during the interview process, where you can ask challenging questions that require greater elaboration than a simple “yes” or “no” answer. 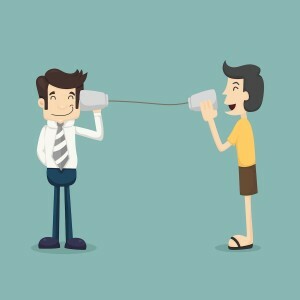 Simply asking a candidate to tell you about themselves can speak volumes. This also provides a chance to learn more about their interpersonal skills. Although most people will say yes if asked whether or not they are a people person, you can dig a little deeper to ask specifically about their working relationships with former colleagues. Complex questioning during an interview is one of the best ways to evaluate a candidate’s soft skills. Rather than asking general questions, ask about specific instances from the candidate’s work history. Ask for examples of times when they felt they handled a difficult situation at work, or who they admire and why. Past behavior on the job tends to be a fairly accurate indicator of future success, so asking for examples can tell you more about a candidate’s communication style and problem-solving method. Recruiters can supplement a behavioral interview with a written test or series of tasks, testing a candidate’s hard and soft skills at the same time. Ask the candidate to write a sample advertisement to brief, or compose a response to a hypothetical email. This allows you to see the candidate’s work methods in action, rather than simply taking his or her word for it. Whichever method you choose to use, finding a way to assess soft skills is a vital component of the hiring process. Think about what could be taught to a job candidate, versus skills such as adaptability. Through a combination of application assessment and asking for specific examples of past work behavior, you can put together a full picture of the candidate. Rachel MacDonald is a writer with a keen interest in career and education. Having established her own career in the industry, she's now sharing her experience through online posts.